The longstanding rivalry between Walt Disney World and Universal Orlando, its crosstown competitor a few miles up the road, has become the stuff of legend, with the decades-long battle for tourism supremacy most recently documented by author Sam Gennawey in his enlightening, entertaining, and highly detailed book Universal vs. Disney: The Unofficial Guide to American Theme Parks’ Greatest Rivalry. But through it all, one towering creative figure has managed to play—and score (pun intended)—for both teams. 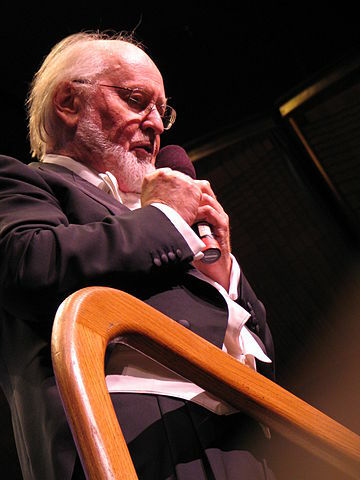 I’m talking, of course, about the prolific film composer and conductor John Williams. Mr. Williams’ cinematic career dates back to the late 1950s, with his sometimes uncredited musical contributions to the silver screen including such classic (and occasionally not-so-classic) movies as Some Like It Hot and Gidget. 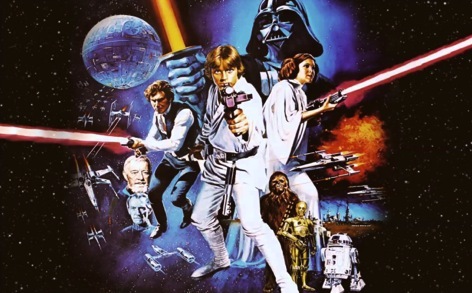 Of course, he is better known for composing and often conducting the scores heard in such blockbuster films as Jaws, all the Star Wars and Indiana Jones movies, E.T. the Extra-Terrestrial, Jurassic Park, and the Harry Potter movies. Those are a just a few highlights from the composer’s long and illustrious filmography. (If you’d like to see more, you can find an exhaustive list of John Williams’ credits on the IMDb website.) But perhaps you’ve noticed that all of the movies listed above have also inspired either current or retired theme park attractions at either Walt Disney World or Universal Orlando. Which gives Mr. Williams the rare distinction of being an artist whose works transcend the Disney-Universal rivalry to entertain and engage visitors at both resorts. 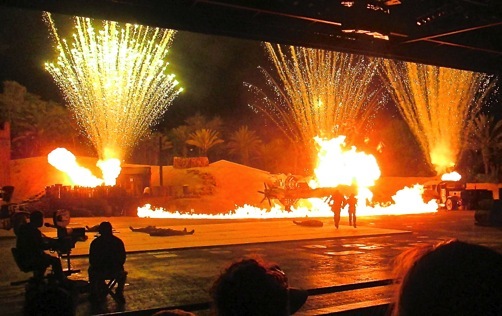 At Walt Disney World, Williams’ music adds to the magic of Disney’s Hollywood Studios, where it forms the stirring soundtracks of three popular attractions: Star Tours – The Adventures Continue, Jedi Training Academy, and Indiana Jones Epic Stunt Spectacular. Travel a few miles northeast on Interstate 4 to Universal Orlando Resort, and you’ll be treated to the sound of John Williams’ distinctive movie scores in both of the resort’s theme parks. At Universal Studios Florida, Williams’ music accompanies your ride on E.T. Adventure, and his themes are heard almost continuously as you explore The Wizarding World of Harry Potter: Diagon Alley. But for nearly two decades before Diagon Alley arrived in the park, another familiar John Williams score was heard on that specific patch of real estate, accompanying—and amplifying—the thrills of the now defunct JAWS attraction. Nearby, Williams’ music again sets the mood and underscores the action throughout the Jurassic Park section of Universal’s Islands of Adventure, while the Harry Potter title theme and other music from the series wafts through The Wizarding World of Harry Potter: Hogsmeade. 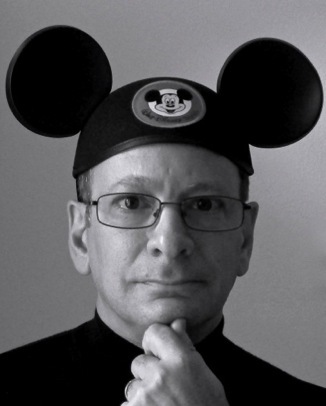 And while certain other artists share dual residency at both Disney and Universal (most prominently director Steven Spielberg, represented by E.T. Adventure and Jurassic Park at the latter and Indiana Jones Epic Stunt Spectacular at the former), John Williams easily takes the prize for having the most extensive presence at both resorts. Which just goes to show you that exceptional talent can, on rare occasions, transcend even the most intense and entrenched competition. 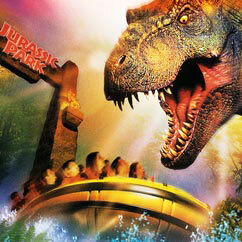 So how aware are you of the music when you’re in the Disney and Universal theme parks? Do you have any favorites? Feel free to chime in using the comments section below. 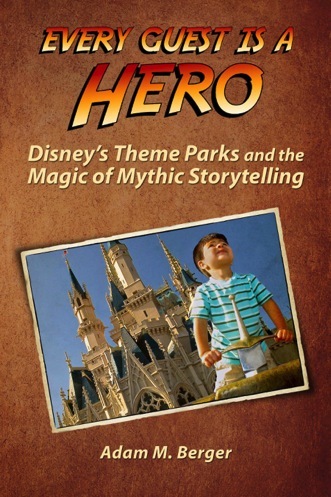 Adam M. Berger is a professional attraction show writer and design consultant, and the author of the book Every Guest is a Hero: Disney’s Theme Parks and the Magic of Mythic Storytelling—available in print and e-reader editions from Amazon.com and other fine online booksellers.